In the early 1900s, women often wore their long hair in stylish updos. 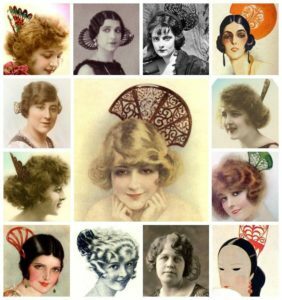 During this century’s earliest decades, glamorous hair combs were added to beautiful hairstyles to help hold up the look while also adding visual interest. While hair combs could certainly be simple and understated, luxurious and decadent looks were still very much in style during this period. 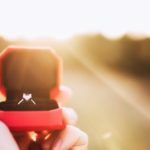 Elements like tortoise shell, ivory, bone, and precious metals were used to create intricate and eye-catching designs that often mimicked organic shapes found in nature. 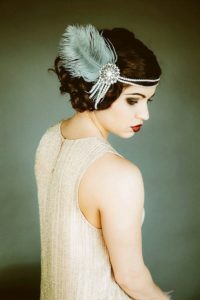 Feathers were also very much on-trend and were used to amp up looks on special occasions. 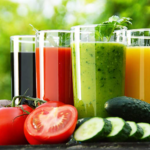 It’s for this reason that flappers opted for headbands and other accouterments that complimented their cropped hairstyles. 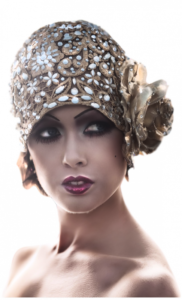 Art Deco inspired headbands encircled their heads and created an iconic style that is frequently mimicked today. These accessories were often dotted with crystals, pearls, or feathers to add increased detail. Egyptian influence also inspired various hair accessories during this era. Its for this reason that jewel-encrusted skull caps rose to popularity. These statement accessories were often only worn on special occasions, but were highly stylized and made a definite statement when paired with the daring dresses of this period. 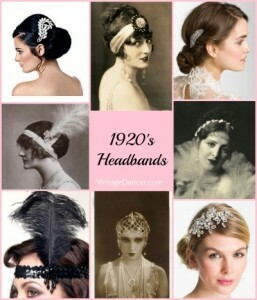 In the 1930s and 1940s, hair accessories were more popular than ever. While hats had always been in style, this era saw a greater variety of hair accessories and head coverings than ever before. 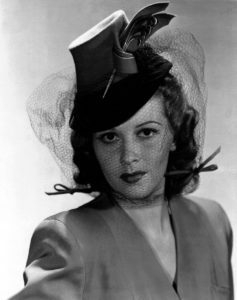 Hats with netted veils are a vintage hair accessory that was extremely popular during this time. Often seen in movies from this era, these accessories added an air of refinement an class to every outfit.